Meet Our Turf Care Professional! Nick has been in lawn care for over 15 years working for national brands as well as small businesses, and has a vast knowledge of turf and ornamental shrub care and has worked in this area his entire career. Accurate timing means the difference between success and failure in lawn care services. 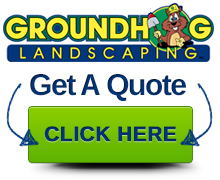 As VP of Operations of Groundhog Turf Care, it is Nick’s job to ensure that all lawn and shrub applications are done on time – delivering the best possible results for Groundhog Turf Care clients.